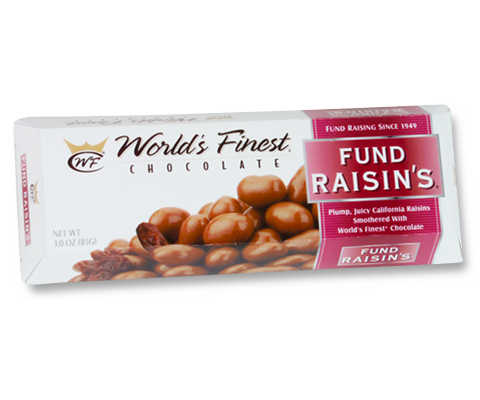 Roasted California almonds covered with creamy World’s Finest® Chocolate. 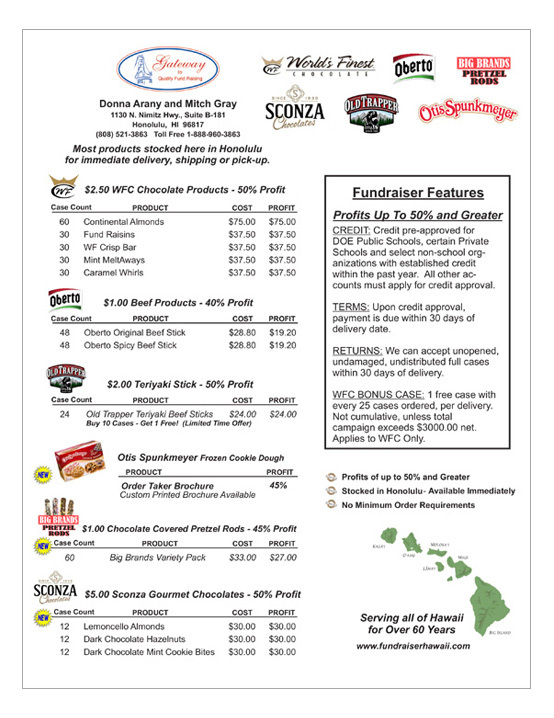 These delicious chocolate covered almonds are a fundraising favorite for any type of organization. Thick, rich chocolate on the outside, plump and juicy raisins on the inside. Our second best seller for years. 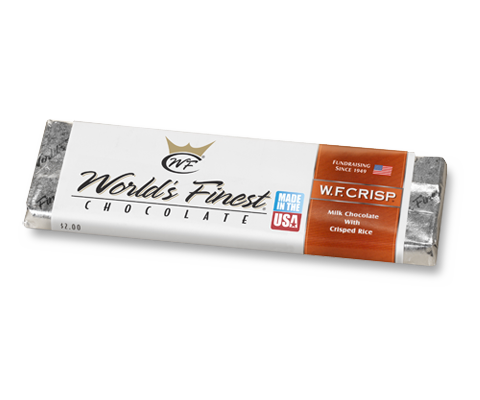 We blend plenty of crunchy rice crisps with our famous World’s Finest® Chocolate to bring you the World’s Finest® Crisp bar. 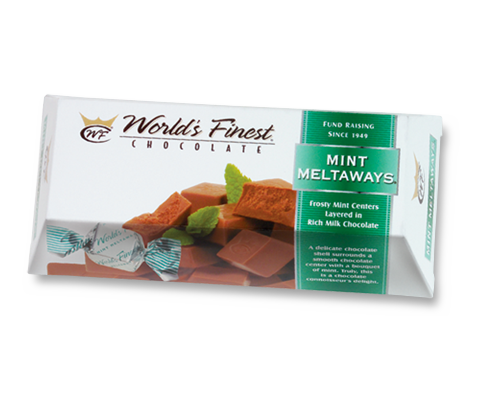 Frosty mint and luxurious milk chocolate; a classic combination of two all-time favorites. 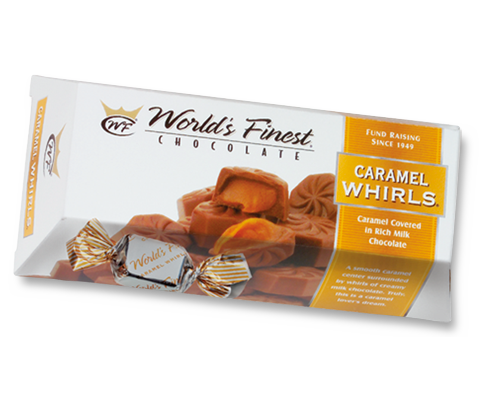 The sweetest, most indulgent caramel center imaginable, engulfed in creamy milk chocolate. America’s favorite beef stick since 1918. 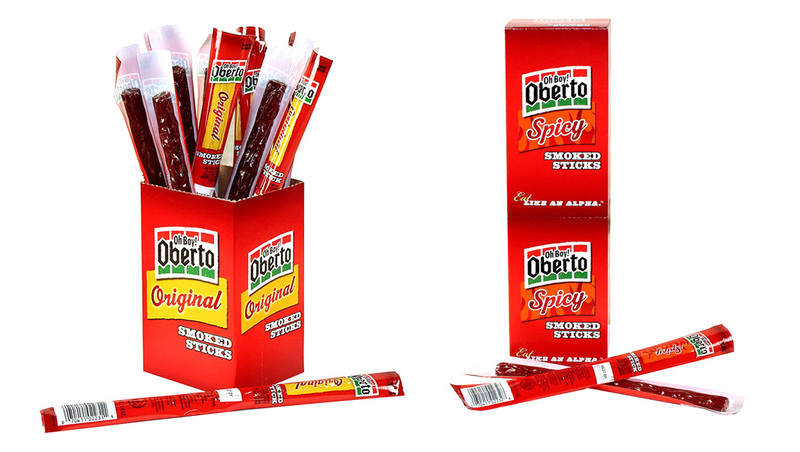 Three generations of the Oberto family have been making fine quality beef sticks for over 100 years. Oberto products are seasoned and smoked to perfection to deliver a tender, satisfying and flavorful snack. 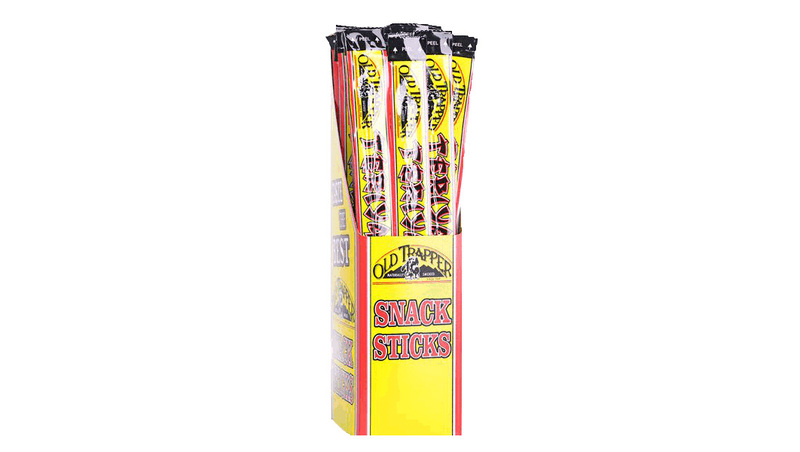 Old Trapper infuses their legendary smoked and spiced beef with the sweet and tangy flavor of teriyaki to create the very best tasting snack stick. Individually wrapped to ensure long-term freshness. We are forever committed to making better treats with fewer ingredients. 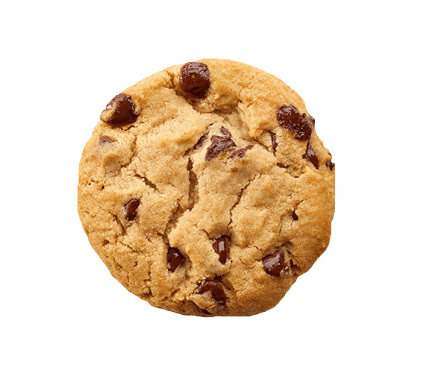 Whether it’s our classic chocolate chip cookies, iced lemon loaf cakes or anything in between, our delicious fundraising cookies and cakes are available in a variety of flavors and are sure to be a hit for your next fundraiser. 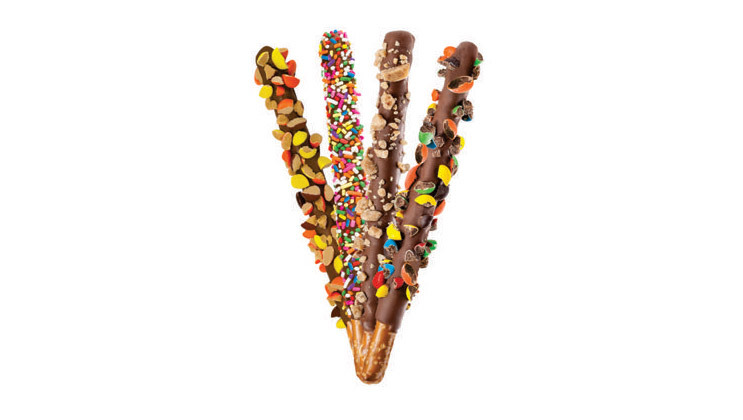 Indulge yourself with our irresistibly sweet and salty doubled dipped chocolate covered pretzel rods! Rolled in Reese’s Pieces, M&Ms, Heath Bar Toffee or Rainbow Sprinkles, our Big Brands Pretzel Rods are sure to satisfy. 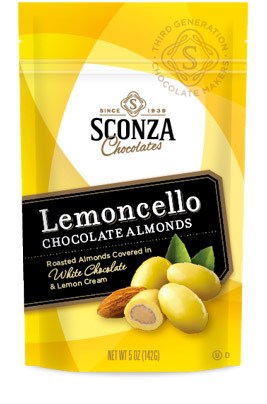 Roasted Almonds Covered in White Chocolate & Lemon Cream. 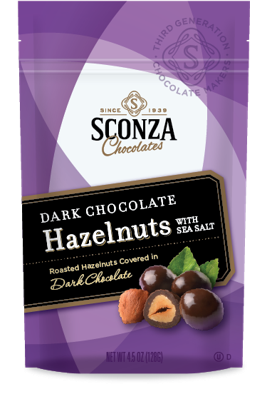 Roasted Hazelnuts Covered in Dark Chocolate. Simply decadent. 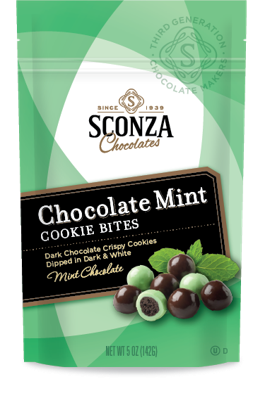 Dark Chocolate Crispy Cookies in Dark & White Mint Chocolate. immediate delivery, shipping or pick-up. Profits of up to 50% and Greater. Payment can be made at time of pick-up with cash, credit or debit card, money order or certified check. Sorry, we cannot accept personal checks. If you wish to pay later you may fill out our credit form and once approved, we will invoice you for payment within 30 days. To check on the availability of a neighbor island shipment, please have your bill of lading number handy and call one of the numbers below. Remember – Please bring a valid driver’s license when picking up your shipment at Young Bros. Ships Mondays and Thursdays for arrival and pick-up on Tuesdays and Fridays. Ships Mondays and Wednesdays and Thursdays for arrival and pick-up on Tuesdays, Thursdays and Fridays. Ships Tuesdays for arrival and pick-up on Thursdays. Ships Wednesdays for arrival and pick-up on Fridays. Ships Tuesdays for arrival and pick-up on Wednesdays.